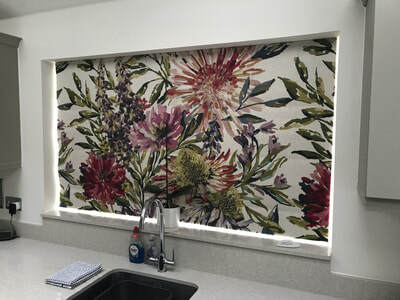 Roman blinds give you a beautiful look to any room. 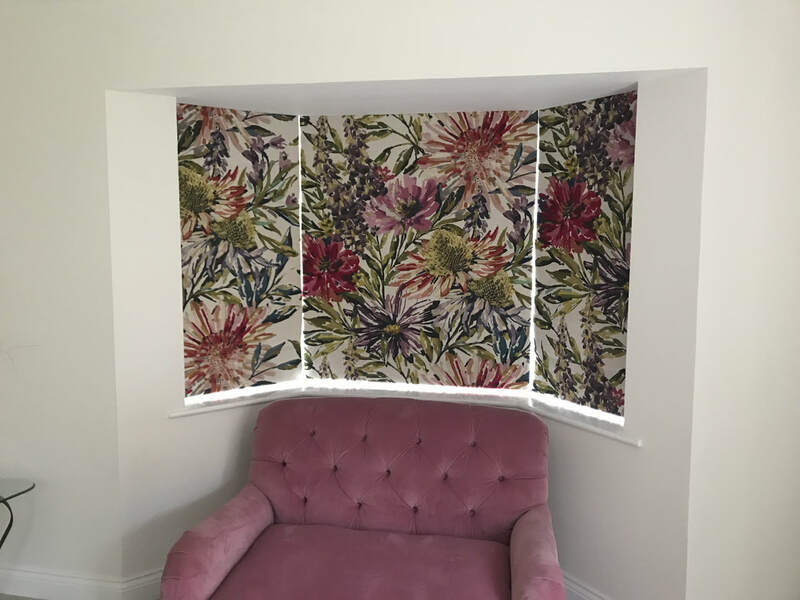 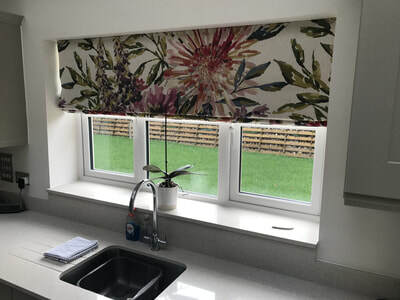 With clean and sophisticated lines, they can be used as a standalone window blind fitted outside the recess, or alternatively, fitted inside the recess and combined with curtains and top treatments for a contemporary layered look. 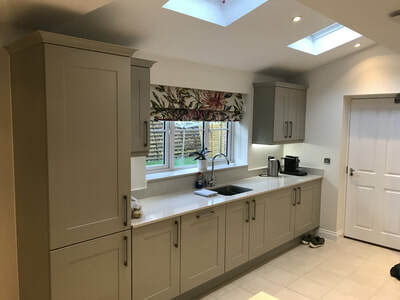 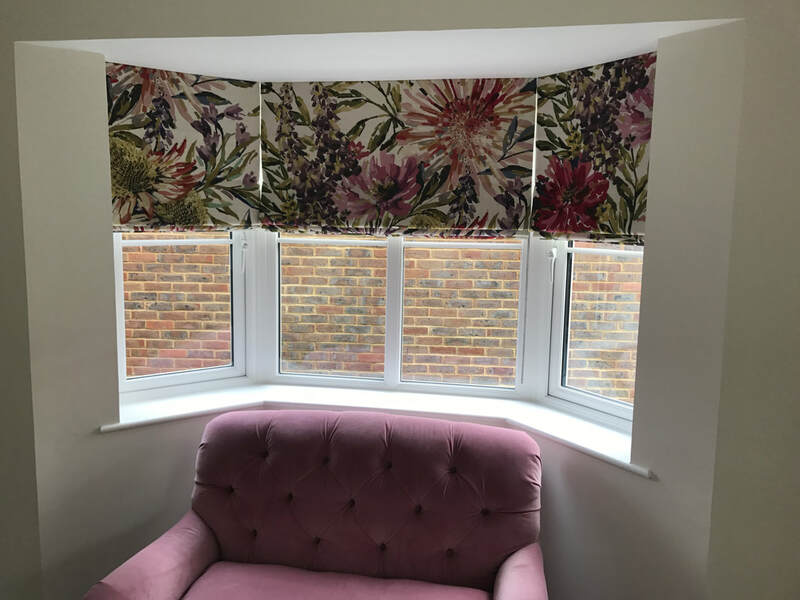 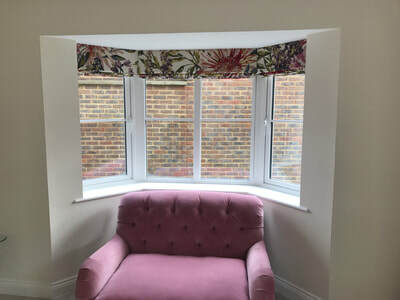 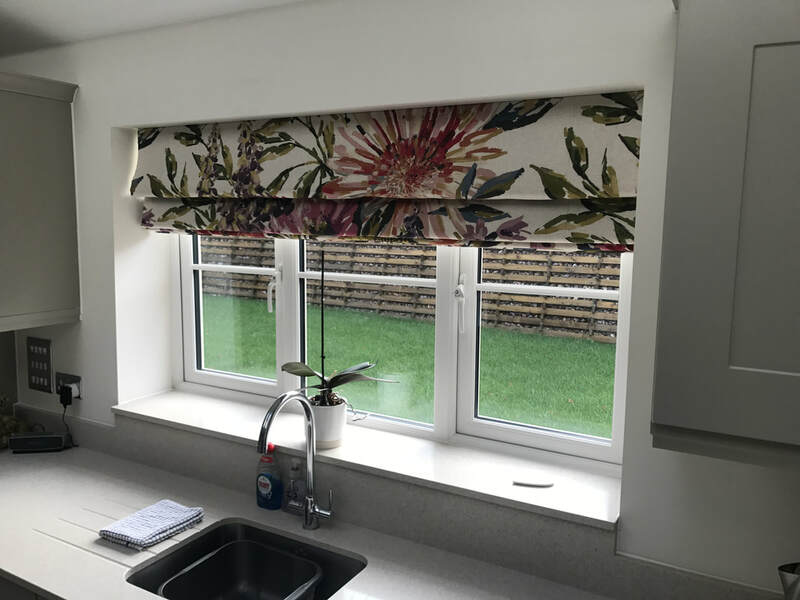 All our roman blinds are fully lined, with a choice of Standard/Blackout/Thermal or a mixture of those and come complete with an aluminium headrail, a cord that raises & lowers the position of the blind and choose from hundreds of fabrics. 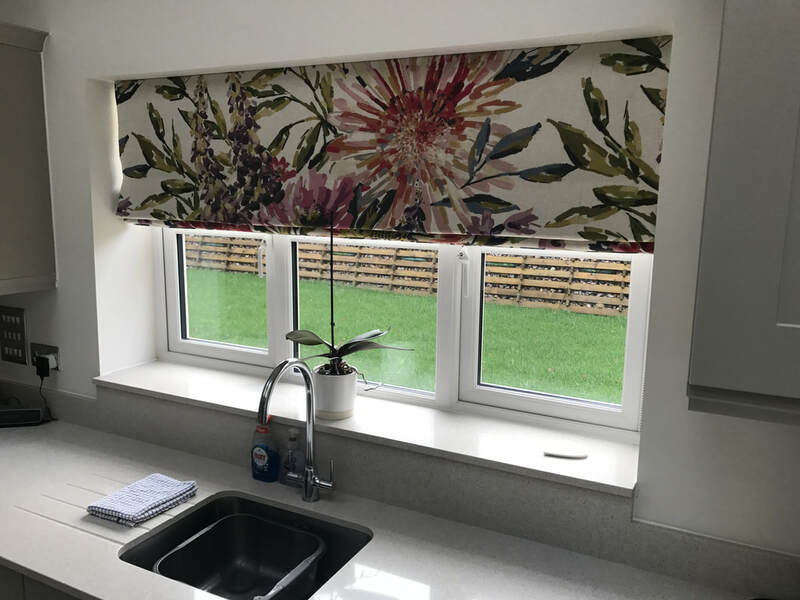 A cleat hook is also installed which can be fixed to the window frame or wall to ensure Child Safety Regulations are complied with. 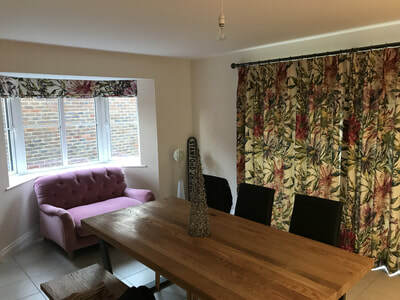 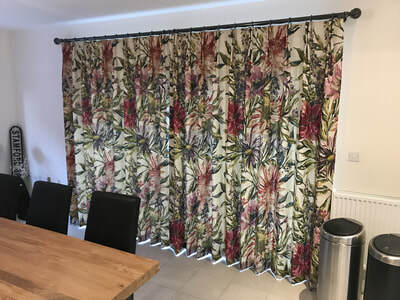 We can also supply the fabric, curtains and matching cushions to compliment not only your new Roman Blinds but your home. We now have our 2018 Sample Range available for viewing, so book now for a Free, No Obligation Quote. 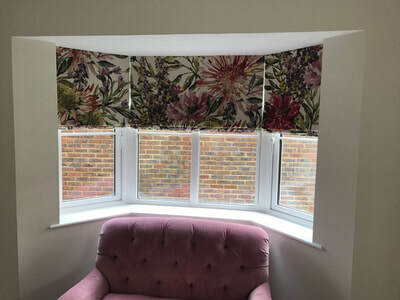 Full In Home Appointment Service In Hampshire, Surrey, Berkshire and West Sussex. Call 01256 243395 or 07933 070747 to arrange an appointment or Contact Us here.